Being bullied can make you feel unhappy, isolated, lonely or afraid to tell someone what’s happening. There are lots of different ways to cope with bullying, an important first step is to tell someone what it is that’s happening. Remember that bullying is never OK and you have a right to get help to put a stop to it. Don’t forget you are not alone and if you don’t quite feel ready to talk to an adult, you can speak to a friend or mentor in school. ALWAYS report any bullying, whether it is happening online or face-to-face. You can report bullying through social networking sites using their report buttons and safety centres. If you are being bullied at school, or other places you visit, you can talk to a teacher or trusted adult. Don’t retaliate or sink to the level of the bullies. Don’t take your feelings out on others even if the bullying is making you feel unhappy or frustrated. Don’t ever think it is your fault. It isn’t. There are many reasons why people bully, but it is never your fault. Don’t be a bystander: if you see cyberbullying, bullying or abuse going on, report it and tell the person being bullied that they can get help. 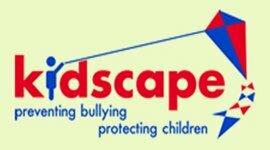 This charity specialises in child protection and the prevention of cruelty to children. 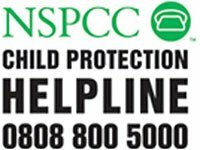 You can call the NSPCC’s free national child protection 24 hour helpline on 0808 800 5000.